Snooker suffered badly in the 1980’s, going from a sport that commanded some of the biggest TV audiences in the UK with some of the best personalities, to a secondary tier sport. This was partly driven by an explosion in other sports that commercialised much better, such as football and tennis, but also down to poor management at the top levels of snooker. Fortunately this has now all changed and over the last twenty years snooker has modernised to become a top level sport again. Players are now paid better and more events have opened the sport up on a global basis. It is now rare that you can go a week in the year without being able to watch and bet on some sort of ranking event from around the world. The return of great personalities such as Ronnie O’Sullivan has helped a great deal too in boost the presence of the sports. Online betting companies are also owed a lot of credit in the revival of snooker by sponsoring many of the top tournaments today, helping to fill the void left from when tobacco advertising was banned. Of course if betting sites sponsor snooker they also want you to bet on it which is why many provide offers and free bets to encourage you to do so. On this page we look at the best bookies for snooker offers with prime examples, for promotions for specific tournaments see our events pages. Running for nearly a century this is the top tournament in world snooker. 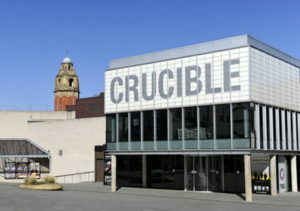 Held at the iconic Crucible theater in Sheffield in April each year. The Masters is a prestigious non-ranking invitational only event for the worlds top players held in January each year at Alexandra Palace. It's hard to know exactly what offer Betway will be running for major snooker events, what you can guarantee though is that they will have at least one. The most reliable betting site around these days for snooker betting promotions. Most deals give either money back, e.g. if your player loses and there is a 100+ break in the final frame, or perhaps double winnings if your player loses the first session but wins the match (previous examples of promotions). Betway have also been know to offer acca insurance, linked pre-match / in-play free bets and pretty much any other major promotional type you can think of. If you bet regualrly on snooker having an account with this site is worth it to add longer term value to your bets. If you like a free bet check out 888 Sport. One of their most popular offers is to give punters a free bet if they place so many bets in a day or during the tournament. This therefore rewards those who bet several times a day or an event, and if you do this anyway you might as well get rewarded. 888 are also known for good all sports accumulator offers which can be very useful during the early rounds when several matches take place. You will find either acca insurance or a bonus and sometimes both available. It really is anyone's guess what type of snooker promotion Paddy Power will be running. I've been betting on snooker for years and yet can hardly predict what they will be running for any given event, but what you can say for sure is they will have some sort of free bet, money back, early payout or other deal running. If there is a site that is more reliable than any other for providing snooker deals it is Paddy Power. They run similar offers to others, such as money back for century breaks in the final frame, etc., but they also run far more quirky deals. I've seen offers in the past that give you free bet refunds if Ronnie O'Sullivan argues with his opponent or walks out on the match for example. Paddy are not great for basic odds but worth holding an account with if you back the bigger events as they are sure to have an attractive added value deal on the go. Serious about all sports, 10Bet are a bookmaker for punters who like a huge range of choice and vast range. They are one of the very best for regular offers, both event specific and generic deals that run in parallel can add a lot of value for proper punters. During major events expect to find a money back or free bet offer available, usually linked to a century break or maximum being scored. On top of this get access to permanently available free bet clubs and all sports accumulator bonuses that can reward whatever you bet on. Not the prettiest bookie on the planet but then if what matters to you is markets more than how the site looks then you really can't go wrong. When it comes to pretty much any sport you can’t go wrong with Bet365 but especially for the traditional ones, such as snooker, they are unbeatable for market depth. You can tell by how many snooker events Betfred have sponsored in the past that they mean business with this sport, good odds and one of the few with regular offers. Betway have made their name by being the go to bookie for ‘other sports’, rather than focusing on just footy and racing they have created one of the best all round books. Coral are the place to go if you are looking for a free bet or big price enhancement. Reliable for promotions but also big market range and advance ante-post bets. Serious site for proper snooker bettors, no messing around here, just big markets and a hat full of existing customer deals, both specific and general. Another snooker sponsor who not only deliver a great snooker book they also drive money back into the sport which is win-win for the punter. Good for free bets too. Worth a look for odds, not so UK focused and therefore can often give better prices on the top players who get heavily backed through British-only bookies. Ladbrokes are just massive and so are able to beat most competitors through the sheer quantity and depth they offer. One of the best around for snooker price boosts. Like Ladbrokes William Hill are also a Goliath that you can’t ignore. Often can be relied on for a good money back promotion around the bigger events too. Betfair have very good odds on snooker and also offer an exchange meaning you can act like your own bookie and lay your own bets, giving you two ways to win. When it comes to thinking about sports, the beauty of most of them comes in the fact that they’re so epic in scale. Of course you can play football as long as you’ve got a patch of grass big enough to put the pitch on, but the most exciting versions of it are those played in front of tens of thousands of people. Likewise horse racing only requires an area of land wide-ranging enough for the competitors to gallop around, but put in one with grandstands on the edge of the course and thousands of people roaring their chosen beast on and the entire event takes on a completely different feel. Both the Cheltenham Festival and the Grand National are British institutions precisely because of the stage on which they’re held and the crowds of peopl that arrives to watch them. In many ways, that’s what makes snooker stand out from the crowd. Yes, cricket is seen as being ‘typically British’ thanks to the sport’s genteel nature, but rock up at Lord’s on a Friday afternoon and you’ll find more than a few people who have been ‘indulging’ in an amount of booze that would make darts fans blush. With snooker, however, it’s as much about the decorum as it is anything else. The watching audience discusses shots in hushed tones, the applause for displays of ability more restrained than you’d expect for a sporting event. It tells you a lot that one of the sport’s greatest tournaments has taken place in a theatre since 1977, such is the extent to which a more refined sensibility is to be appreciated. Yet what do we know of snooker’s history? How much do we know about the events that define it? Read on to find out. Sir Neville Francis Fitzgerald Chamberlain was born in Slough in 1856, a birth that didn’t capture the attention of many except his mother and father and their families. When he later went to Sandhurst Military College and trained as an army officer, still nobody would’ve thought he’d go on to be an overly remarkable chap. He joined the 11th Devonshire Regiment in 1873 and took up a posting to India – a posting that was going to change not only his life but the lives of millions of people in the years that followed. As anyone who knows either game might expect, snooker is closely related to billiards and it was this latter game that the army officers posted in India used to play on a regular basis during their down time. 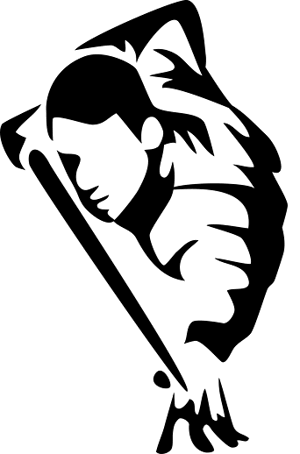 Being army officers, little could be done just for fun and instead they needed to find competitive elements. They used to play two variations of billiards, known as ‘Pyramid’ and ‘black pool’. Pyramid, as the name suggests, involved the fifteen red balls being placed in a pyramid shape, with players needing to ‘pay’ a forfeit every time their opponent managed to pot a ball. Black Pool, meanwhile, was a game that required players to play with differently coloured cue balls that the opponents would try to pot. If they succeeded then a fine needed to be paid, with that fine getting larger if they went on to pot the black ball. Colonel Chamberlain, as he was by that point, enjoyed both of these games immensely and soon decided to combine elements of them to create a new game. His fellow officers began to enjoy it too, despite the fact that it didn’t yet have a name. New recruits at Military Academy were called ‘snookers’ and it soon became slang for players that weren’t very good at the game, meaning that before long the two were associated and the name stuck. Whenever Chamberlain moved to a different part of India with the army he would introduce his game to the officers there and soon discovered that it was immensely popular. It really took off whilst he was posted in Madras and attended the Ootacamund Club between 1881 and 1885, so Chamberlain decided to formalise the rules there. The British Billiards Champion, John Roberts, was visiting India in 1885 and was introduced to Chamberlain, immediately falling in love with the game. The champion soon introduced it to England after his return home and popularity of the new sport spread like wild fire. By the middle of the First World War, snooker had become so popular that an English Amateur Championships was started up. Eleven years later, in 1927, a man named Joe Davis helped to establish the sport’s first Professional World Championship. The biggest break in that first tournament was just sixty, demonstrating the lack of quality in play from the participants. That might explain why Davis won every championship from the tournament’s establishment right through until he retired in 1946! The sport suffered something of a dip towards the end of the fifties and start of the sixties, but technology was about to give snooker the shot in the arm that it needed. The British Broadcasting Corporation began broadcasting in colour towards the end of the sixties and needed an event that would allow them to show off this new ability. 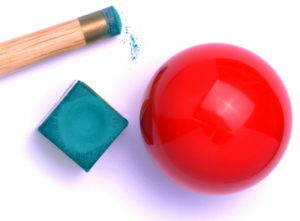 Snooker, with its numerous different coloured balls, was the obvious example that they required and the BBC Show Pot Luck launched in 1969. It was just what the sport needed, with snooker putting itself on the sporting map and never looking back. 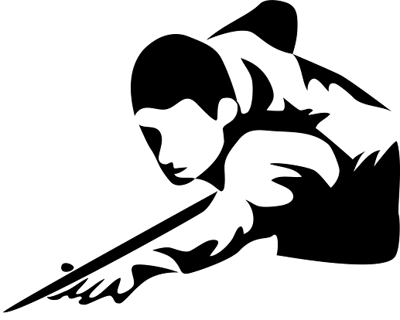 Though there are numerous different snooker variations that allow more than one player to partake in the game, the competitive version of the sport involves two players. They are each issued with long pieces of moulded wood that have a felt tip on the end, which are called cues. On the table you’ll see twenty-two balls in total, made up of fifteen reds, a yellow, a brown, a green, a blue, a pink and a black, as well as a white ‘cue ball’. The reds are arranged in a pyramid, just as at the army bases all those years before, with the pink placed at its tip and the black behind it. There’s a spot on the middle of the table, which is covered with a green gauze, and the blue ball goes on that spot. There is then a ‘D’ shape located in the final-third of the table, on which are placed the green, brown and yellow balls. 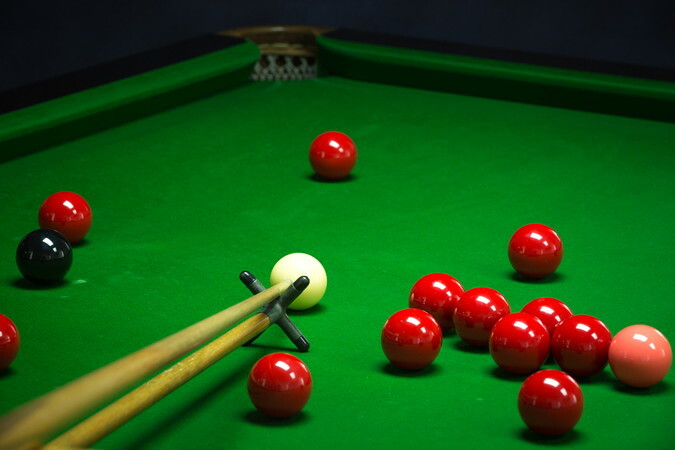 What adds a degree of complication to the issue is that players cannot attempt to pot the yellow, green, brown, blue, pink or blue balls until they have first potted a red. The reds remain ‘potted’, but the other coloured balls come back out of the pocket and are re-seated on their spot. Should a ball be covering their spot, the ball can be placed on the spot closest to where it should be. Once all of the reds have been potted, players then need to pot the other balls in order of their points value, starting with the yellow and moving through to black. The game is over when every single ball bar the cue ball has been potted. That’s when the points are added together and a winner is declared. 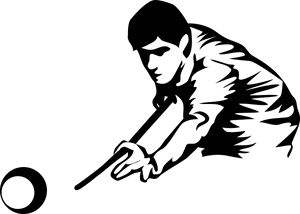 If a player misses the balls altogether or pots the cue ball, the opposition player is awarded four points. You opponent can also ask you to take the shot again in the hope of winning more points. Players can win plenty of points thanks to fouls. The points awarded for fouls depends on the ball that you’re trying to hit. The lowest amount that can be awarded as a foul is four points, whilst the highest is seven. Let’s say that you’ve lined up a shot on the blue and you miss, pocketing the white ball instead. In that instance your opponent will be awarded five points. The same is true if you were to hit the blue ball successfully but the white was then to end up in the pocket. Should you aim for the blue, miss it entirely and hit the black ball, your opponent would then receive seven points off you. The World Snooker Championship – Remember that tournament that we referenced before that has been hosted in a theatre since 1977? This is it. Established in 1927 by Joe Davis, this tournament has undergone numerous changes to its format over the years. It began life in a similar vein to the one that we know and love today, with all of the top professionals going head-to-head. When players decided to boycott the tournament between 1952 and 1957, it became the World Professional Match-play Championship. It died a death almost completely in 1958, coming back properly in 1964 with. Challenge matches before becoming a knockout tournament in 1969. It has remained much the same since 1982, taking place over seventeen days and ending on the first Monday of May. The UK Championship – This tournament began in 1977 and comes second in the pecking order only to the World Championship. It is one of what is known as the Triple Crown events in snooker and, like many great things in life, first took place in Blackpool at the Tower Circus. It was only open to those with a British passport or residential status, remaining that way until 1984 when the rules were altered to allow any professional players to enter. Remarkably, it still took until 2015 for the final to be competed between two non-Brits, when Neil Robertson from Australia and China’s Liang Wenbo went up against each other. The Masters – Making up the final event of the Triple Crown is The Masters, not to be confused with the golf tournament of the same name. It is an invitational tournament that was first played in 1975, meaning that only the World Championship has been running for longer in snooker. Though it is not a tournament that helps players improve their world ranking, it is nevertheless prestigious on account of the fact that it’s only the world’s top sixteen players that are invited to partake in it. An interesting fact for you to take away with you is this: three maximum breaks were achieved in the tournament between its formation and 2018, with all of them being scored by players from oversea. The Scottish Open – Having began life as the International Open, then becoming the Matchroom Trophy before taking on the moniker of the Players Championship, its fair to say that the Scottish Open hasn’t always been taken as seriously by the snooker world as the organisers might like. In fact, it didn’t take place at all between 1990 and 1992, losing its place as a ranking event in 2004. It was added back to the Players Tour Championship ahead of the 2012-2013 season, then became a Main Tour event once more in 2016. The World Open – Deserving of a mention because of the numerous different formats that the competition has enjoyed over the years, the World Open started out as the Professional Players Tournament in 1982. It briefly became the Grand Prix and then the LG Cup, finally settling on the name of the World Open in 2010. The interesting format chances mentioned included it being played as a round-robin tournament that you might more closely associate with the Football League, then taking on an FA Cup style draw at the start of the competition in 2008. That was abandoned in 2010, however. As you’ll notice as you look down the list, the snooker tour is a male dominated world. There are female tournaments that take place, but they’re not considered to be as prestigious as their male equivalents. The world of snooker is not like that of tennis, for example, where each tournament like Wimbledon boasts proudly of both its male and female finalists.